Ejecta interaction models for SN 2018oh. 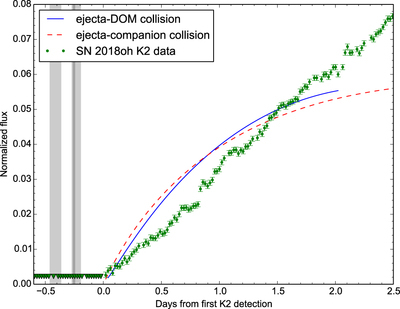 We show the model light curves for an ejecta-DOM collision in solid blue and an ejecta-companion collision in dashed red. The models include shock cooling luminosity only, and not nickel-heating luminosity from the SN itself as the latter is not seen in the first two days. 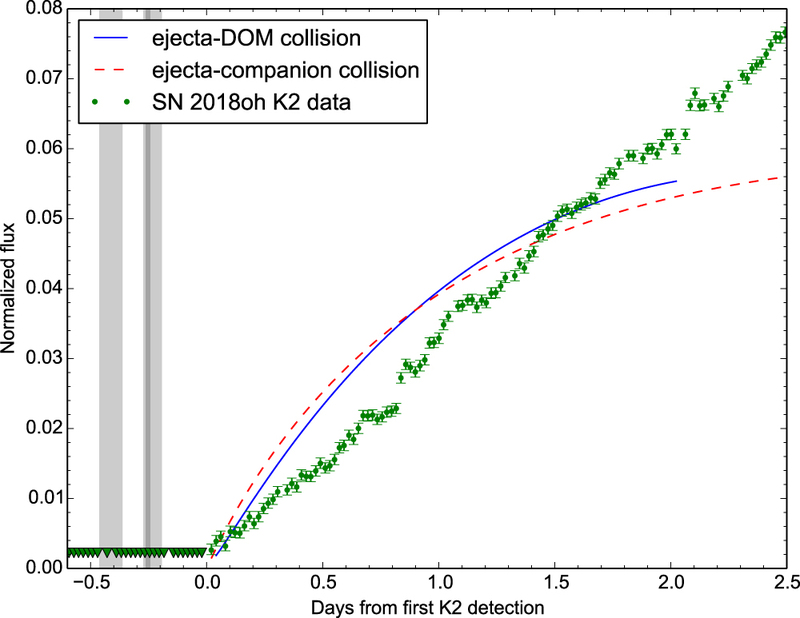 We plot the K2 observations of SN 2018oh from Shappee et al. (2019) in green. Here the DOM includes a single component. Shaded regions correspond to the first light times calculated by Dimitriadis et al. (2019a), Li et al. (2019), and Shappee et al. (2019) from left to right, respectively.